JOMA Diamond Tool LLC manufactures dressing and truing tools used in the auto, aircraft, bearing and other industries where grinding is done. Diamond tipped tools are used to dress or remove worn, dull, glazed wheel surfaces to expose fresh sharp grit. Our tools also restore correct circularity so the wheel runs true. Established in Western Massachusetts in 1985, JOMA Diamond Tool’s principals brought twenty previous years experience in the diamond tool and in the grinding industries to the table. With a combination of knowledge and experience in both the manufacture and the use of dressing products, we create precise, reliable, affordable quality tools. JOMA Diamond Tool is committed to quality control. From the time diamonds are selected by an experienced toolmaker throughout the manufacturing process to the final inspection before they are sent to shipping, JOMA Diamond Tools are rigorously inspected using modern mechanical, optical and electronic inspection systems. 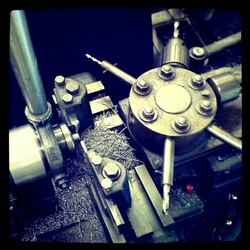 Our top quality machine tools are vigorously maintained to run at peak efficiency and our well-trained personnel are overseen by experienced diamond toolmakers. You can be assured that the products you buy from JOMA Diamond Tool meet the highest standards of the industry.